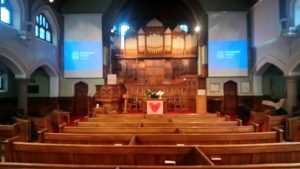 St Andrew’s is a local ecumenical project between the Methodist and United Reformed Churches. 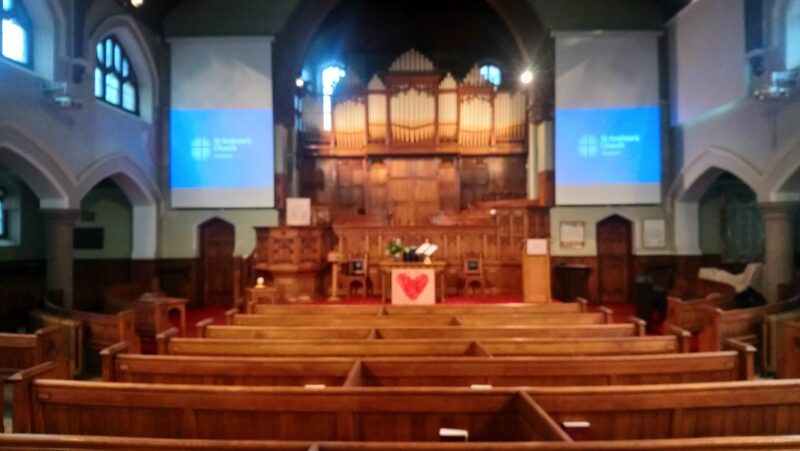 Whether you already live in Skipton, are visiting for a break or have moved into the area, St Andrew’s offers you a warm welcome and an opportunity to share worship at 10.30am every Sunday. We are a church that seeks to embrace all who are of one heart, so that we can seek the mind of Christ and serve Him together. St Andrew’s Church is a local partnership of the United Reformed Church and the Methodist Church, where members of the two traditions share in worship, fellowship, service and mission. We are a church that seeks to embrace all who are of one heart, so that together we can seek the mind of Christ and serve Him in the ministry of worship, caring love and evangelism. You are welcome to join us for worship or in any of our other activities. Worship takes place every Sunday at 10.30am with Sunday Crew (Junior Church) and Crèche. Mid week communion is at 11am on a Wednesday. St Andrew’s aims to be at the heart of the community. 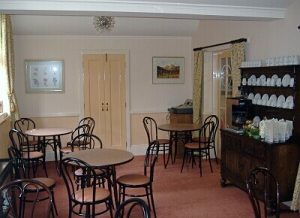 The buildings are used by a wide range of regular users, from our weekday Coffee Shop and Playgroup, to local history groups and the U3A. St Andrew’s Playgroup aims to offer good quality play experiences in a caring environment. Play is seen as the most important learning medium for the preschool child. A variety of well planned activities will assist your child’s physical, mental and spiritual development in a Christian setting, helping them to become well-balanced, with the skills and experience to make a confident start at school. 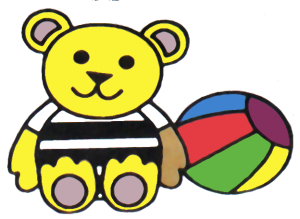 The Playgroup meets in the smaller Primary Hall on Monday to Friday mornings 9.30am to 11.30am during school term times. It has been in operation for many years with a qualified and dedicated staff and supportive parents. St Andrew’s Playgroup is open to all children aged from 2 years and you can add your child’s name to the waiting list at any time. We will do our best to accommodate children with special needs, taking into account the facilities available to us. At present fees are £6.75 per session, payable every half term in advance. Please speak to the Playgroup Leader if this is difficult for you for any reason. If you would like further information about the Playgroup or to discuss its suitability for your child, please get in touch via the contact page. Our Coffee Shop is open each weekday between 10am – 12pm serving a variety of drinks and snacks. Messy Church is a bi-monthly event when the Church family comes together to enjoy being together, making things together, eating together and worshipping together through stories, song and prayer. A typical ‘Messy Church’ runs something like this:- Following a welcome everyone moves freely around a range of craft activities; painting, sticking, cooking, colouring, playing games. This is followed by a short worship time where we share a bible story, sing and dance to a song and pray in a variety of ways. The afternoon ends with sharing tea together – an essential part for some of the younger ones! It is open to all ages and there is something for everyone. It takes place on a Sunday afternoon from 3pm – 5pm. Why not come and join us for an afternoon of fun and a chance to make new friends? There is no need to be a member of the Methodist Church or any other church. Just turn up on the afternoon and you will be made welcome. If you would like further information about Messy Church, please get in touch by using the contact page. 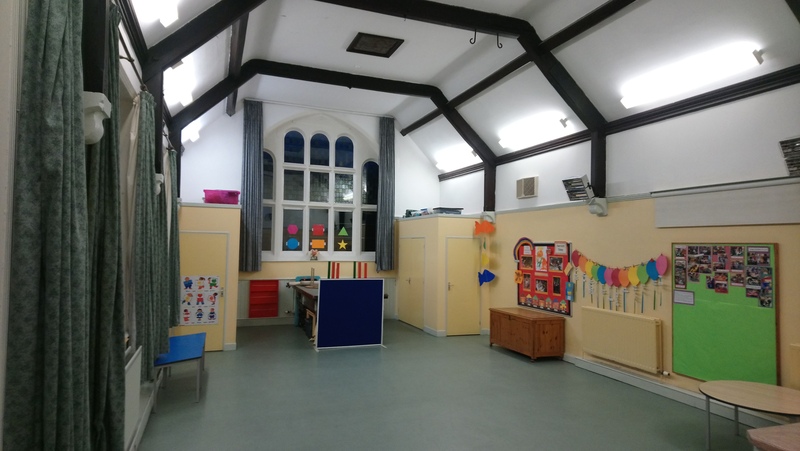 Parents and Toddlers meet in the church hall on a Tuesday between 9.30am – 11am during term time. If you’re new to us or have missed a sermon, we have been recording them for a while now. The choice is yours. Either sit down grab a drink and click on our YouTube channel to catch up on previous sermons, or, if you’re on the move, why not subscribe to our podcast channel and get updated with the latest sermon each week. Below are also links to our Facebook page as well as our weekly notice sheet and Church magazine. It was now about noon, and darkness came over the whole land until three in the afternoon, for the sun stopped shining. And the curtain of the temple was torn in two. Jesus called out with a loud voice, “Father, into your hands I commit my spirit.”[a] When he had said this, he breathed his last. Subscribe to our podcast and ensure you receive the latest sermons as they are uploaded. Keep up to date with the latest with our weekly news sheet. Our Church Hall is the perfect space for so many activities, parties, dance classes, music groups. The list goes on! The Primary room is slightly smaller than the main hall but is also a good venue for children’s parties. The Coffee Shop is a smaller space suitable for small group gatherings. 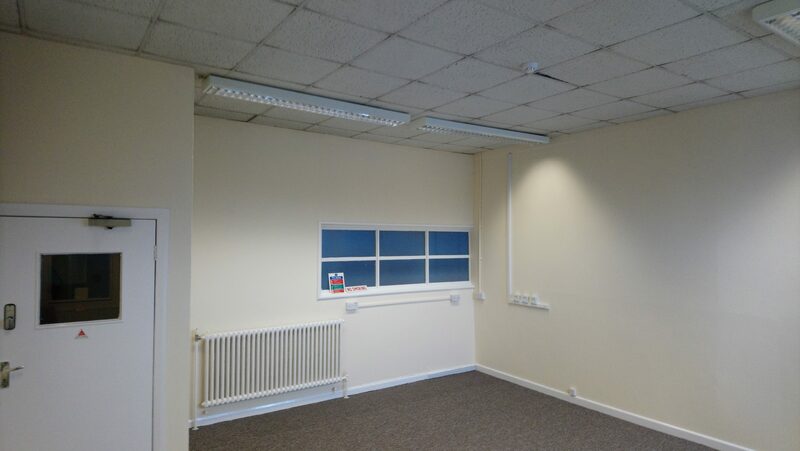 We have a number of newly decorated offices which are available on a variety of leases, perfect for start-up businesses in the Skipton area. 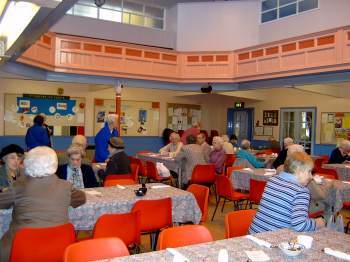 The Church itself is used for a variety of events, as well as regular worship. We have hosted concerts for orchestras and choirs as well as being used as a comedy venue! If you would like to find out more about hiring a space please get in touch by using the contact form below. We are currently have issue with our contact form, If you wish to contact people at Church please email standrewsskipton@gmail.com and we will make sure it gets through to the correct person.